Four months after one of the biggest collapses in NBA history, Stephen Curry and Under Armour dropped a commercial. It highlights the different types of critics and doubts Curry has endured since he first started playing basketball. Curry silenced the hate after winning MVP and the NBA title in 2015. He then outdid that: he became the first unanimous MVP in league history and helped lead the Golden State Warriors to a record 73 wins. On the verge of a repeat, just one win away and the Warriors go cold and don’t score a point in the final five minutes of the game. 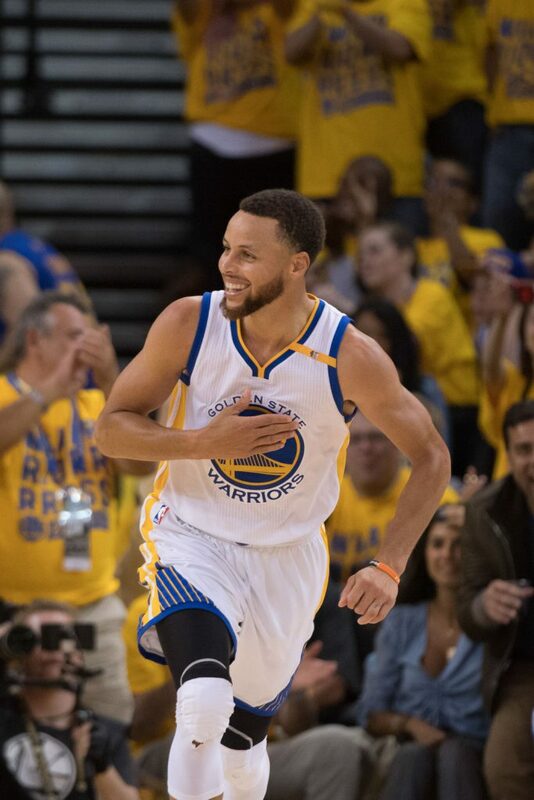 Stephen Curry’s miraculous rise: overshadowed by a bum knee. The unanimous MVP season: ridiculed by fans, media and both current and former players. Heading into June, the feeling remains fresh for Warriors fans. 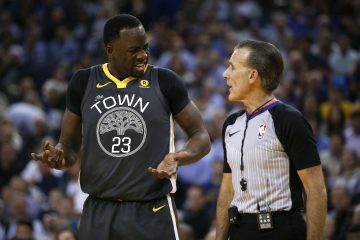 They can only hope the Bay’s lone basketball team looks to live by Draymond Green’s words and annihilate the Cavaliers. 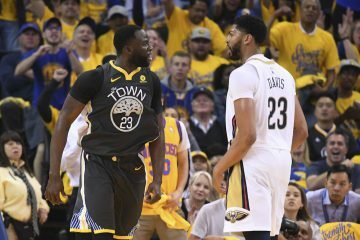 The Dubs have become laughingstock of the sports world despite having four future Hall of Famers in their starting lineup. 3-1 hasn’t gone away. And it likely won’t unless the Warriors are able to dethrone the reigning champs. But these Finals mean more to one particular player than anyone. No, it’s not the guy chasing the ghost of Michael Jordan. And it’s not the player who was suspended for Game 5 last season. It’s not even the star that jolted from Oklahoma City to join Golden State. This series belongs to Stephen Curry. He played well in the 2015 NBA Finals, yet did not earn a single vote for Finals MVP. LeBron James, whose Cavs lost in six games had more votes. The award went to reserve Andre Iguodala. Last season, Curry was heavily outplayed by a then 24-year-old Kyrie Irving. 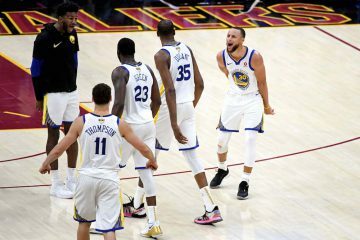 While Irving played Robin to LeBron’s Batman, and at times matched the King’s performance, Curry was unable to give Golden State the lift they needed. The addition of Kevin Durant slowed down Curry. While all the talk was Draymond Green and Klay Thompson having to reduce their roles, the impact was felt most on the 2-time MVP. Curry started the season well, but understandably did not carry over the same numbers he had from last season. Things took a turn for the worse in December. Curry averaged 20.9 points per game and shot 42 percent from the field. A career 43 percent three-point shooter, Curry was just at 37 percent for the month. One game stood out more than the rest though: Christmas Day in Cleveland against the Cavaliers. Curry was passive all game, ended up taking only 11 shots and was benched on the final play of the game as he saw Kyrie Irivng nail a game-winner in the face of his fellow Splash Brother. Curry, noticeably upset on the bench during the last play called himself out to the media after the game. He said he needs to be more aggressive and can’t only take 11 shots in a game. That’s coming from the same guy who hit 12 threes in a game earlier in the season. Questions started to swirl over who the team really belonged to and who the best player on the squad was. 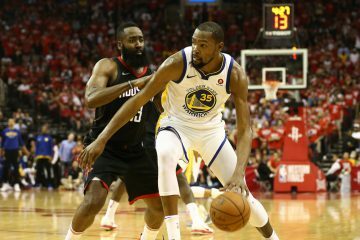 Some media members and fans dubbed the Warriors as Kevin Durant’s team, despite being there for barely half the season. Curry took a backseat to let Durant get comfortable, making everyone forget what he’s capable of himself. Some fail to remember, one of the biggest reasons Durant chose Golden State is because of Curry. The Baby Face Assassin could care less who’s in the spotlight, only worrying about winning games and adding championships to his resume. Some players say it, but only a few believe it. Curry does. Star players aren’t willing to set backscreens for role players or have the ball in their hands as little as they do when they are as talented as Curry. The ending of February was tough. Durant went down on a freakish play and for a moment, the Warriors feared his season came to an end. After initial struggles with KD, the Warriors went on a season high 14 game winning streak led by Curry. He went 2015-16 mode, taking the shots that make high school coaches cringe and fans all around the world jump out of their seats. He was nailing them and playing some of his best ball of the season. Durant suffered an MCL sprain and returned at the end of the regular season. But it was clear to even Warriors naysayers: the team has belonged to Curry and will continue to under this current tenure. In the postseason, Curry got to warm-up against Oakland’s own Damian Lillard. Last season, Steph scored an NBA record 17 points in overtime in Portland after returning from his sprained MCL. This year, he dominated them again scoring nearly 30 points per game while shooting 45 percent from the field, 42 percent from the three-point line and dishing out 6.5 assistants in a four game sweep. The Warriors then played a defensively tough Jazz team that Curry would normally struggle with. He still put up 24.5 points per game on 49 percent shooting from the field including a dominant 30 point effort in Game 4 in Salt Lake City. The talk then shifted towards San Antonio. The Spurs had the Warriors in a tough spot as they led the first half by more than 20 points in Game 1. Kawhi Leonard injured his ankle late in the game and the Dubs came back from behind to win. The Spurs are still the best-coached team in the league and can play solid defense without Leonard, but they had no answer for Curry. He dominated the Spurs all series; 31.5 points per game, shot 56 percent from the field, 46 percent from beyond the arc, grabbed six boards and dished out four assists in yet another sweep. He also had 12 steals in those four games. Curry has gotten better in each round and many are calling this his best postseason yet. The stage is now set for round 3, a Finals rematch against the Cleveland Cavaliers. His rival, Kyrie Irving has gotten better than last year. LeBron James is also playing better than he ever has before. It’s not a stretch at all to say the Warriors will be back in this position again next year, but when you’re there, you have to seize the moment. It’s time for Stephen Curry to have an all-time series after an average first Finals and a lackluster second one. The biggest stars shine brightest when the lights are on. 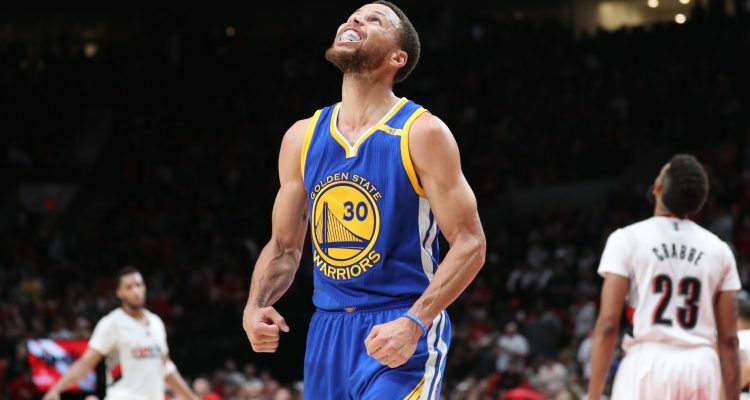 And with his knee fully healthy this time around, Stephen Curry will help lead the Warriors to yet another title, win Finals MVP and make that old.